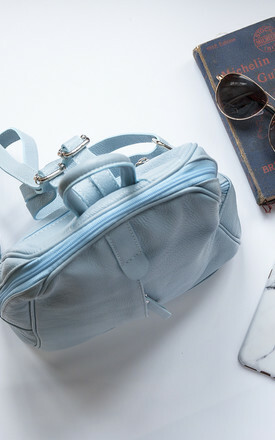 Gorgeous baby blue soft leather stylish rucksack. Made from Italian leather, with full interior lining. 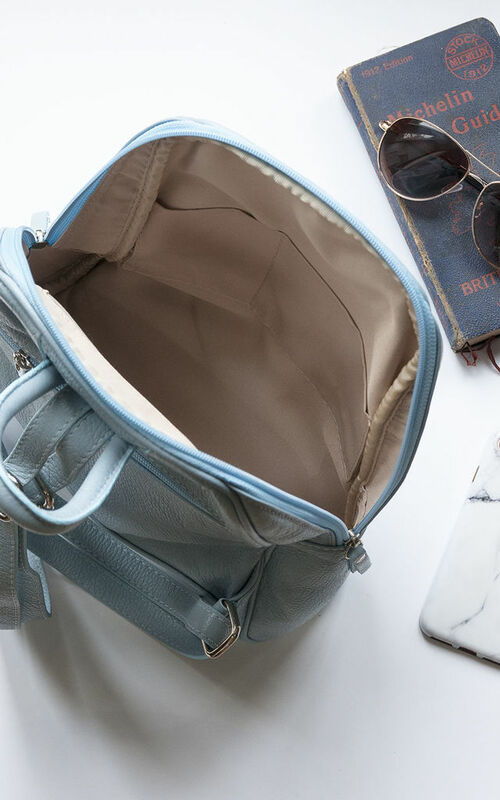 A fashionable and relaxed way to carry life's necessities. Wear it on your back for a comfortable and fashionable look or how about wearing both straps on one sholder for a more relaxed look. 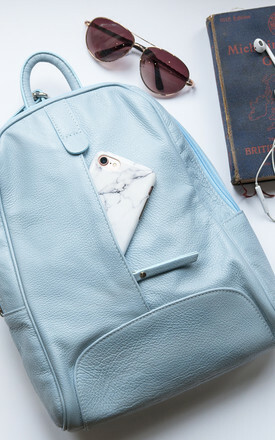 Our lovely baby blue leather rucksack has two exterior pockets and two interior pockets plus zip interior pocket. This rucksack has a hidden front (half) pocket. Adjustable straps : 100cm when fully extended. Please note this leather will mark with time. This is part of the nature of the leather.